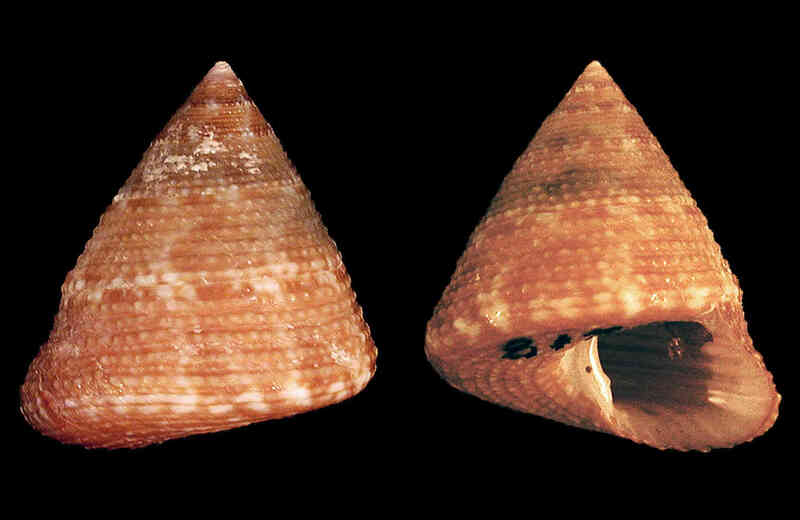 Shell size to 25 mm; shell turbinate, with sharp spire and indistinct suture. Sculpture of fine spiral cords. 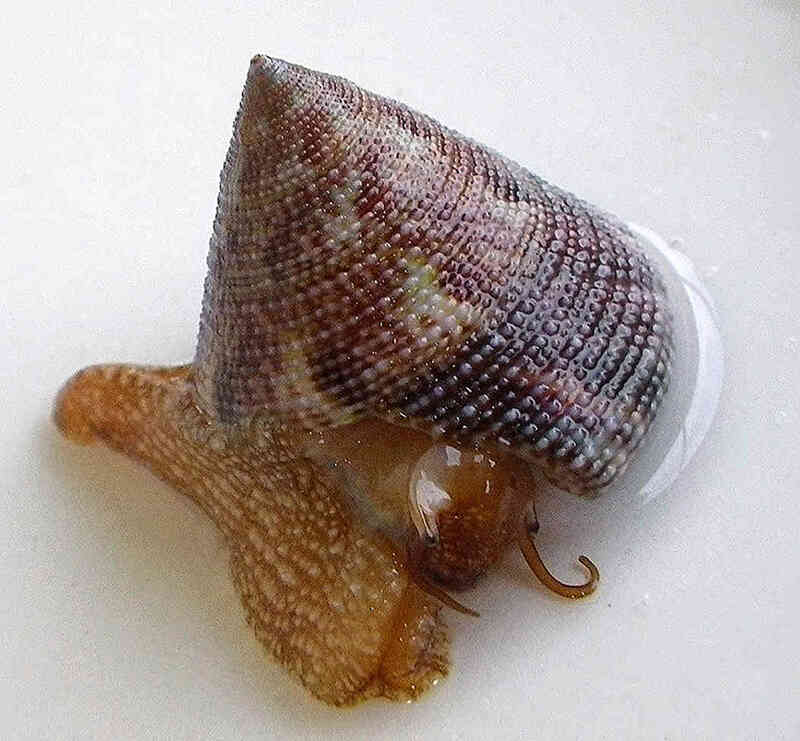 Color red-brown with gray and white streaks. Photo of the live animal was taken by Amy Tripp at Kice Island, Collier County, in January 2011.